Carrot tops and watermelon rinds don't have to clutter your compost bin. 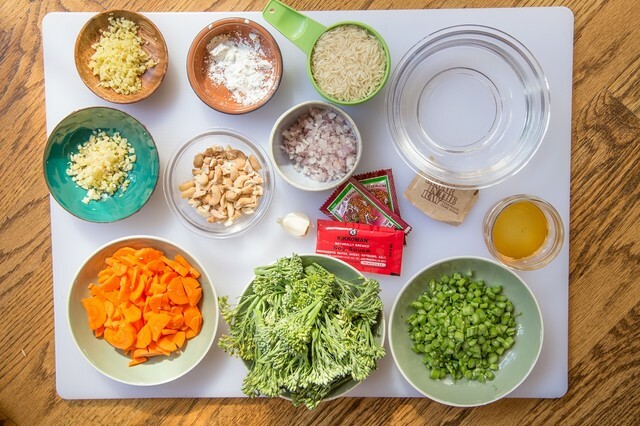 Hack your food scraps with these tasty tips! After a cheerful morning spent at your local farmers market among the vibrant vendors lush with the colorful spectrum of their seasonal fruit and vegetable offerings, and then a few hours chopping, peeling, and preparing those selections into yummy homemade meals, you’re left satiated and content… almost. There’s a small mountain of vegetal scraps on your counter and your compost bin has been overflowing for weeks; what’s a responsible food consumer and alleged keeper of a clean kitchen to do? Before you start online shopping for another compost bin, tackle that pile of scraps by giving them a brand new purpose! Many fruits and vegetables can be “regrown” from the part we reject of them. 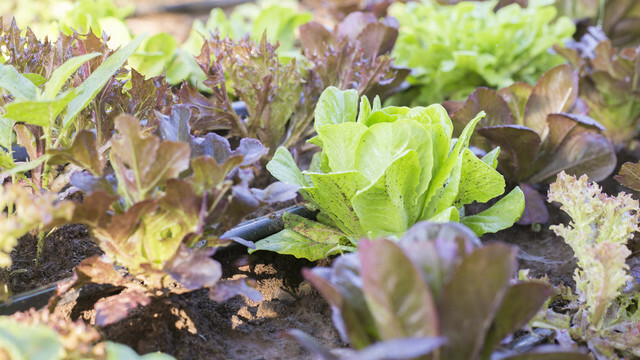 Lettuce, bok choy and cabbage can be regrown from their chopped hearts; snipped herbs like basil and mint will sprout roots when placed in a clear glass of water on a sunny windowsill for a few days; and mushrooms will regenerate themselves if their stalks are planted in soil. You’ll never need to buy green onions, leeks, and scallions again when you realize how quickly their zesty green shoots regrow from a cut-off base placed in a clear glass in the sun. Dig some empty spaghetti sauce jars out of the recycling bin and get to work! 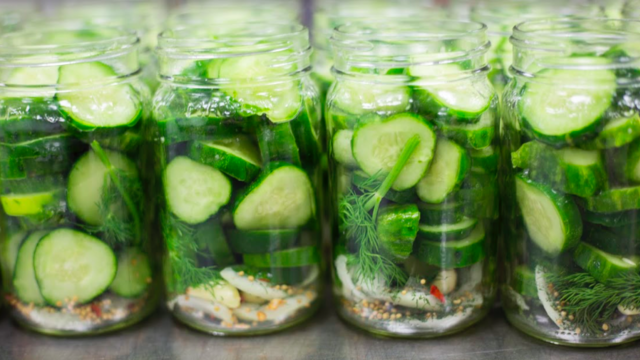 Recipes for these food scrap pickles exist all over the internet- but some popular delicacies include watermelon rinds, kale or chard stalks, and broccoli stems. Have a bunch of random food bits on hand? Chop them finely, add to brine, and use as a tangy waste-less relish for sandwiches and salads! 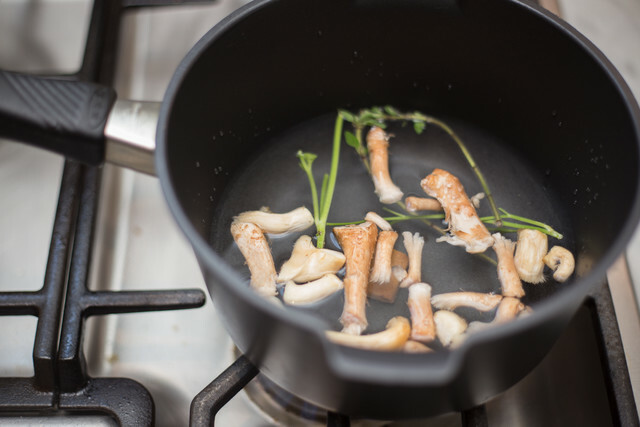 From your glass of water to a bottle of white vinegar and even your favorite liquor, food scraps can impart some serious flavor by merely being placed into the liquid for an extended period. Strawberry hulls, leafless herb stems, and the peels of apples, cucumbers, citrus and really any fruit will do the trick; just use a sieve if you wish to remove the scraps. Alternatively, the aforementioned scraps can be chopped finely and dried for use as an aromatic tea of your own sustainable design! Out of basil? Don’t fret! The greens from carrots, beets, celery, turnips and radishes can all be blended into your classic pesto recipe of nuts, garlic, and olive oil for a unique and toothsome flavor profile. Take any wilting greens and herbs of their misery by turning them into a pesto tossed with pasta and parmesan or spread on crisp toast. Mmm! Throw in all your carrot peels, celery scraps, garlic and onion skins, potato peels, tomato skins and really anything else you have and would want to convert into a flavorful soup base. Simmer for several hours before straining the scraps out- the longer the better! Enjoy immediately or freeze for later if soup isn’t on the menu quite yet.